One of my favourite indulgences during Christmas is the traditional but humble Mince Pie. I made my first batch in November as soon as I spotted a jar of mincemeat in the shops, yes I know I buy jars of mincemeat and don't make my own. Well I'd much rather spend my time making the pastry, which I find far more therapeutic. One thing I can not do is to bring myself to buy a pack of mince pies from a supermarket, finest or not. As far as I'm concerned how can you call that pastry! Enough of my waffling, here's a recipe I've been using for a few years now. I like it because the pastry always comes out light and fluffy with the right touch of crumbliness. Using your fingertips rub the flour and butter together, then mix in the sugar and egg yolk. Stir in enough milk to make a soft dough. Roll and cut out your pastry, once you've added your mincemeat top it off with some dried cranberries. I like to use a little milk on my pastry tops and then sprinkle with a little sugar, so the pastry has a nice sweet crunchy top. Depending on how thick you like your pastry this recipe should make 12 mince pies. Place in a preheated oven 180 degrees F / Gas 4 for 15 minutes. I decided to decorate them a little differently this time. I'd borrowed a snowflake cutter from my friend Jo, and although this is usually used on sugar paste I gave it a go with thinly rolled pastry. I also chose to decorate some lids with holly and berries using my holly leaf cutter. As you can see I had mixed results with the decorations. Some of the snowflakes kept there shapes reasonably well, but as is the nature of pastry once cooked some lost their definition. I'm particularly delighted with the holly toppings though, they really do look the business. I also left some with no pastry top and chose to decorate them with various Christmas themed sugar paste shapes I'd made using some new moulds. To finish the effect I sprayed the sugar paste with edible lustre spray, instant bling! I'm submitting this post for the Mince Pie Re-inventing a Classic Challenge on Now and Then Delicious Blog. I'm also submitting this post under the Tea Time Treats blog challenge from Lavender and Lovage blog and What Kate Baked blog who is also hosting the challenge this month. WONDERFUL and also AMAZING as I have also used my plunger snowflake cutters for pastry toppings before! 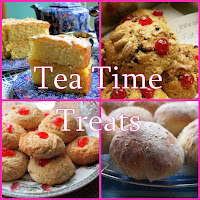 LOVELY Tea Time Treats post and thanks so much for entering! I love this entry! Brilliant! love it, the designs look gorgeous! I LOVE the blinged-up pies! 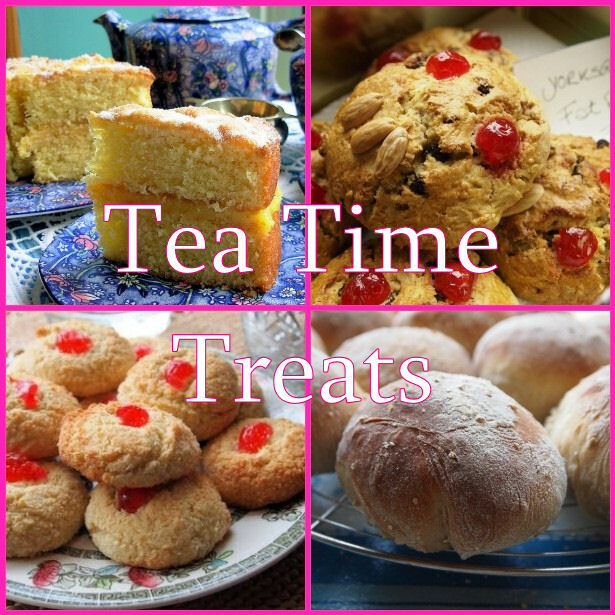 Thank you for your delicious entry to Tea Time Treats! Mince Pies - The Outtakes!